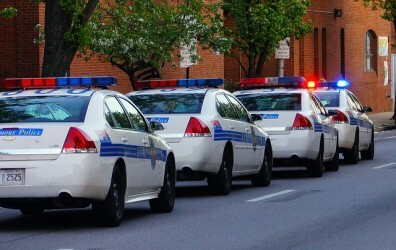 Not that they deserve one, but the Baltimore Police Department cannot catch a break. After months of negative publicity surrounding the death of Freddie Gray, dozens of new accusations of police brutality, spiking crime rates, and allegations of lack of leadership that led to the firing of their top cop, the department is back in the news. This time the news is for an incident that happened five years ago, but these days any tidbit of information about cops in Maryland’s largest city will make headlines. Back 2010 a federal department of defense employee was arrested for violating the city’s loitering law, when he allegedly refused to enter a Baltimore Street business or keep walking. Although prosecutors eventually dropped the charges, and the criminal case has since been expunged, the man spent 12 hours in jail and missed work the next day. He hired an attorney after the incident, and a lawsuit against the city was ultimately filed. After both parties failed to reach a settlement agreement the case proceeded to jury trial in the circuit court for claims of battery, false imprisonment, and false arrest. At trial the man testified that he was not violating the loitering law, and to the contrary he was arrested for simply talking back to the police officer. The man also testified that although the criminal charge has been expunged, record of his arrest still exists in his FBI criminal background database. This has apparently prevented him from moving up the ladder and earing higher wages while working at the Pentagon. While Maryland has a user friendly expungement process, the FBI, who keeps records of all arrests and criminal charges, is under no obligation to follow a state order to expunge a record. This is a common problem, and a tough pill to swallow for any person who is wrongfully arrested or prosecuted. At the close of the case the jury awarded damages in the amount of $272,790 in favor of the plaintiff. The city appealed, but then agreed to settle for an even $200,000. The verdict and eventual settlement may seem high considering that the man was not injured, and the criminal case was expunged before it went to court. But the arresting officer who was the target of the civil suit was the opposite of a defendant warranting sympathy. In 2011 the officer was convicted for his role in a city towing scandal where officers were illegally paid by a body shop to refer customers, and falsified accident reports to increase damage claims. The officer served 8 months in federal prison and was fired from the police department. He was also the subject of two other large civil settlements against the Baltimore police; in one case he was accused of breaking a woman’s wrist after pulling her from a car, and in the other case he was accused of beating a handcuffed man. After the city recently settled his third civil case, the cop went on record as stating the settlement was “unbelievable” because the plaintiff had no injuries. These comments prove the shamed ex-cop still doesn’t get it, as you simply cannot put a price on wrongfully arresting, jailing, and prosecuting an innocent person. The officer apparenlty wants his job back, which actually is unbelievable. All the city needs right now is to reinstate an ex-cop convicted of fraud and corruption in federal court, and three times accused of beating, injuring, and wrongfully arresting the citizens he was sworn to protect. Unbelievable indeed, although delusional might be more accurate. Benjamin Herbst is a criminal defense and personal injury attorney who handles cases in all Maryland jurisdictions. 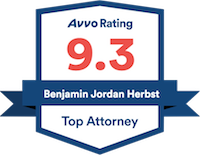 Contact Benjamin at anytime for a free consultation about your case at 410-207-2598. Man who sued Baltimore officer for false arrest settles for $200,000, baltimoresun.com.